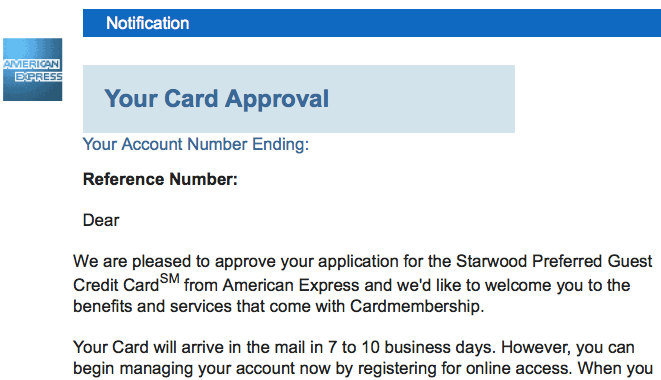 It’s that time again; the Starwood Preferred Guest® (SPG) Card from American Express sign up bonus has been increased! This is one of my favorite credit cards and is undoubtedly one of the best travel credit cards available. This offer only comes once a year from American Express. From now until September 3rd, 2013, the sign up bonus for each AMEX SPG card has been increased from 25,000 to 30,000. This is the highest sign-up bonus that comes with the SPG card. There is a $0 introductory annual fee for the card, then $65. The standard APR is 15.24% - 19.24% variable. I don't hesitate to pay the annual fee for this card because it is so valuable. Starpoints are extremely valuable and flexible. They can be used for both hotel stays and flights. Starpoints can be valued at a minimum of around 2 cents and up to 4 cents per point. So 30,000 Starpoints can have a cash value of between $600 to $1,200! I would say on average I have redeemed Starpoints for around 2.5 to 3 cents per point. SPG brands include Four Points, Sheraton, Aloft, W Hotels, Le Meridien, Luxury Collection, Element, Westin, and St. Regis. There are over 1100 participating hotels in nearly 100 countries. There are several categories of hotel stays in which you can redeem Starpoints. A nice feature about Starpoints is that if you redeem five nights with your Starpoints, the fifth night is free at any category 3,4,5,6, and 7 hotel. Participating airlines include: Aeroplan, Alaska Airlines, American Airlines, British Airways, China Eastern, China Southern, Delta, Hawaiian, US Airways, United, Virgin Atlantic, and much more (over 350 airlines). 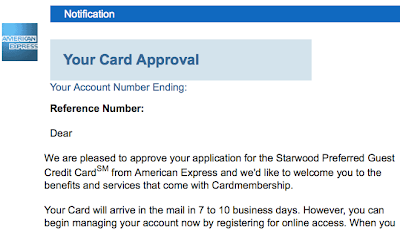 One hidden benefit of having an American Express card is that for every future AMEX card you open up, American Express will “backdate” your membership year to when you first got approved for an American Express card. This is a great feature that will help keep your average age of accounts older and will ultimately boost your credit score. This is another reason why if you don't already have an AMEX card, now is the time to open one. The first year of owning this card is free, so you can really test it out to see if it’s worth the fee. After the first year, the annual fee is $65 a year. Most frequent flyer travelers will agree that the SPG card is definitely a keeper. Edit: My wife just applied and was approved! SPG members who reside at the same address (within the last 30 days) can transfer points from one account to another for free!